"As a first time buyer, it was no surprise that I had many questions and concerns. Ilana was extremely helpful from the searching process all the way to closing. Not only was Ilana very thorough with her answers to my questions and concerns, she took it upon herself to make sure the process goes as smoothly as possible. It was truly a pleasure to work with Ilana and I will undoubtedly be recommending her to my friends in the future." "Ilana has been a great help from start to finish. 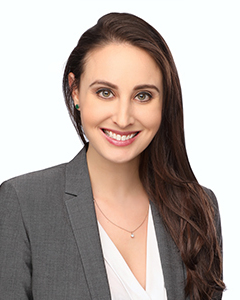 From helping search a perfect condo for our son to closing it, Ilana has been extremely helpful every step of the way.Ilana made the house hunting and buying process a pleasant and fun experience!We were very lucky to have her as our broker who made long distance buying process very easy." "As first time home buyers, we had a LOT of questions, concerns and fears. Every single time, Ilana was ready with an answer or a suggestion. Her professionalism and warmth is the best form of support during this stressful (but exciting) time. We can't recommend her enough and will be recommending her services to our friends." "Ilana is a fantastic broker. Achieving my home purchase objective necessitated deep negotiation skills and local knowledge that Ilana certainly possesses. Working with Ilana allowed me to substantively focus on only the properties that were of my interest, giving me significant time savings for my busy schedule. I fully recommend Ilana. Her warmth and complete support will not let you down." "I've worked with Ilana for years and her attention to detail surpasses anyone I've ever worked with in the real estate industry. There are many agents out there, but there are not that many amazing agents out there. Ilana is one of them. She really cares about her clients' needs and fights for what is best for them. If I weren't a broker myself, I would definitely hire Ilana to help me with any of my sales and rental needs!"